Crossroads is Canada's leader in providing faith and values media content for people of all ages. 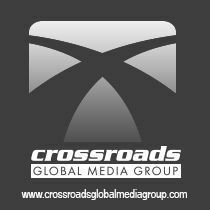 Crossroads is Canada's leader in providing faith and values media content for people of all ages. 100 Huntley Street, the flagship television program of Crossroads was founded by Rev. David Mainse and is the longest running daily Christian television program in Canada. Crossroads provides relevant messages of faith and inspiration for millions of Canadians and has done so for 50 years. Its mission is to convey the unchanging message of God's love to people around the world. Crossroads interacts with its viewers via 24/7 prayer lines, and it has also been a highly respected and effective not-for-profit aid agency for over 25 years, having responded in times of natural disaster worldwide, raising funds and partnering with on-site, non-government organizations for emergency relief and long-term rebuilding strategies. This is accomplished by the creative use of television and other media together with other activities which respond to the mission conscience and needs of the constituency. As a subscriber to the Crossroads Global Media Group channel, you'll have the opportunity to learn how to add and bring unity to the Body of Christ through direct and indirect evangelism; enhance and augment the ministry of the local church; and build understanding, credibility and attractiveness of life in Jesus Christ.